In the back of your mind, there exists a type of music that you’ve always wanted to hear but never seem able to peg down. You want it to be X and Y while still remaining Z. Every person has this formula, whether he admits it or not, for the type of music that he can easily fall in love with. The Reservations, a four piece band hailing from Portland, Oregon, encapsulate everything I adore about fun-loving rock and roll music. But The Reservations’ self-titled album goes beyond meeting a simple checklist of sounds or ideas that make it a great album; there’s a spontaneity on The Reservations that few bands can capture on record, giving it a refreshing and lively voice. And it’s not spontaneous in a sloppy or disparaging sense, either; the album feels as if it is captured in one perfect take, where slightly off-key or off-tempo passes are forever gathered on the tracks. Grabbing your attention from the outset, the album’s opening track, “Live Forever,” is a twisting jive that will make you clap your hands and shake your hips in rhythm. A scaling bassline leads into an instrumental climax that is a rather surreal blend of lounge-style pop and ’60s-inspired psychedelia. The vocal duties are split between the shrieking falsetto of the organ player, Chris Hoganso, and the deep howls of the guitarist, Rex Marshall, offering a striking juxtaposition that gives “Live Forever” a unique feel. The same vocal pattern continues throughout most of The Reservations, creating something of a dissociative personality pattern that matches the often spooky and tense nature of the organ. Another highlight from The Reservations is “Dogs In The Daytime,” a slow-rolling track that showcases the suave baritone of Marshall, who swoons listeners in the first verse with, “Well I’ve been working all day/ I’ve been working on finding you.” The drums sound relaxed and organic, and while they’re never overpowering, the quiet tumbling of maracas add just enough to the modern speakeasy motif that it all blends perfectly. There’s also a tickling guitar rhythm and a quickly struck organ arrangement buried beneath the vocals, making “Dogs In The Daytime” playful yet solemn. What ultimately makes The Reservations unique is the sense of tension it constructs within its walls. On any given track, you hear the hammering of a keyboard, the bold chest-driven vocals, and the charming drum arrangements that collect themselves in a surprisingly homogeneous manner. Sonically, it feels like a modern day extension of The Zombies’ more pop-oriented songs — a high bit of praise, but a well-deserved comparison. 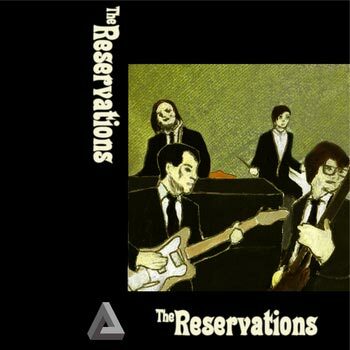 The Reservations is simply one of those great albums you never knew you wanted to hear until you stumble across it in an accidental manner.